Finally, Alta Vista is snow free and just time for our upcoming #AwesomeAltaVista Weekend on June 9th &10th! Our next AVCA meeting is next Tuesday May 15th at 7:30PM at Rideau Park United Church. It is no secret, there are many things happening right now in our neighbourhood, some very exciting and some heartbreaking. Please join us as we continue to work together to share our experiences, expertise and time for the benefit of everyone in our community. This month’s agenda reflects many ongoing items and emerging matters in our community. If there is an item that we missed or a new matter we need to address at this meeting please let us know. Please share this message with your friends and neighbours. 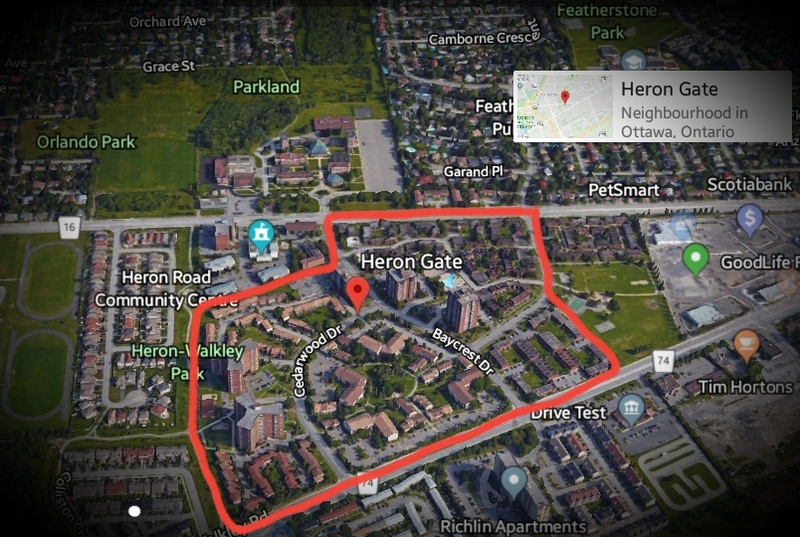 AVCA is asking all sellers using our map to make a donation equal to 5% of sales to support our local Heron Emergency Food Centre www.hefc.ca (click here to donate: https:/www.canadahelps.org/en/dn/8179). This is not required to appear on the map, however it will make a difference for those in need. View the garage sale map here! Even though this winter seems to never end, your AVCA is busy getting Alta Vista ready for an awesome spring! Our next meeting is Tuesday, April 17th at 7pm at Rideau Park United Church. All are welcome to attend. Our agenda includes updates on the Awesome Alta Vista Weekend and the proposed “makeover” of Kilborn Ave. & Alta Vista Drive too. Plus, there will be a special presentation at 7pm by Greatwise Developments & architect Rod Lahey regarding the new apartment towers on the Playfair Towers property. Developer Timbercreek hopes to rush the biggest changes in our neighbourhood’s history. DEMAND MORE TIME FOR OUR NEIGHBOURHOOD TO BE HEARD. Register now! Sign up now! Speak up now! This might be your only chance to share your thoughts and experiences unless you act now! Contact Timbercreek Asset Management’s Senior VP Development Mr.Greg Rogers, via svaliquet@momentumplancom.ca Include “Secondary Plan” in subject line. 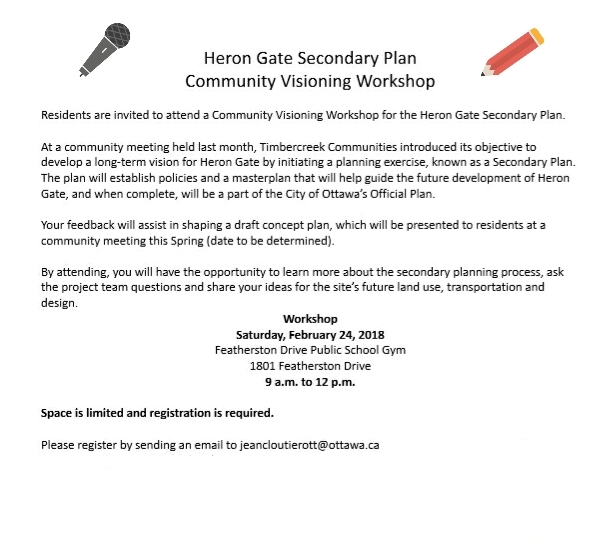 Email the City of Ottawa planner melanie.gervais@ottawa.ca and the planning chair jan.harder@ottawa.ca. Please join us at our next AVCA meeting on Tuesday February 27th at 7pm at Rideau Park United Church to discuss our NEXT STEPS together. *managed by an individual not affliated with AVCA.